Congress vice-president Rahul Gandhi on Tuesday said that demonetisation has failed to reduce corruption or prevent black money laundering, and instead made poor people's life "miserable". 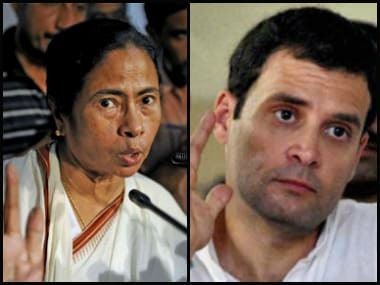 "Demonetisation has not targeted black money or corruption; it has, in fact, increased it and given rise to a new market for the illegal exchange of old notes," Gandhi said at a press conference on Tuesday, flanked by leaders of other Opposition parties like Trinamool Congress and Rashtriya Janata Dal. 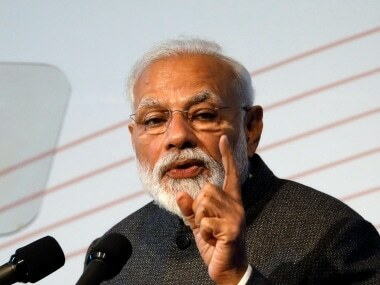 The joint press conference by opposition parties came after a tea-party meeting convened by Congress to ramp up the attack on the NDA government, and alleged "personal corruption" by Prime Minister Modi. Citing noted economists' opinions on the demonetisation drive, Gandhi said this was a huge move and the government's promises of the situation normalising within 50 days was very ambitious. "It will take six-seven months to normalise. So, the question remains, 'who will take responsibility for the hardships caused?'" he asked. Gandhi also wondered why would Modi, known for his oratory skills, is shying away from answering questions on his honesty and integrity. Referring to Sheila Dikshit's name cropping up in the same documents, Gandhi said the former Delhi chief minister is ready for a probe, but the prime minister is running away. "You launch a corruption probe against anybody, we will support you 100 percent. But when even the details of payments made out are mentioned in some documents, how can you ignore it?" Gandhi asked. Gandhi also mocked Modi's 50-day promise, stating that when things didn't improve in 47 days, what miracle is the prime minister expecting in the last three? "Modi had said that by 30 December, everything will be fine. That date is is just around the corner but there is no respite to the people. Now who will take responsibility for the irrational assault on the poor," Gandhi asked. 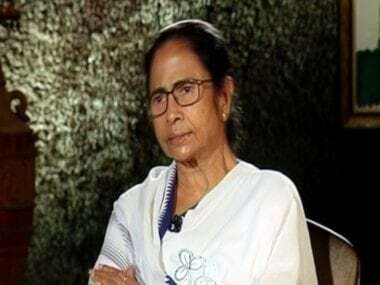 Trinamool Congress chief and West Bengal chief minister Mamata Banerjee seconded Gandhi's views, and called demonetisation the biggest scam since independence. She said that the Indian economy has settled down like never before, and each man on the road, from farmers to labourers is suffering because of the prime minister's "whims". She also questioned Modi about the completion of the 50-day window. "Modiji, you had said that after 50 days things will be alright. Everybody suffered to give you the time, but who will now answer about the future of this scheme? Will you recall the restriction after 50 days?" Banerjee asked. Cornering the BJP further, Banerjee sought the prime minister's resignation if he fails to keep his promise to improve things about the 50-day window. 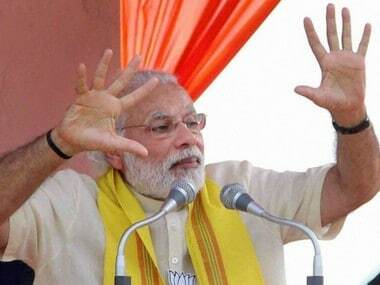 "Will Modi take the responsibility for this and resign if things don't improve after 50 days? In the name of 'acche din', you looted the entire country," she said. Blaming the government for bringing on an economic slump, she said, "The country has regressed by 20 years. The rabi crop has suffered, landless labourers are going hungry, development projects are all stalled." She added that the present government has ruthlessly destroyed the federal structure. "Even if there is an ordinance in the country, it must be passed through the House, otherwise it lapses. Demonetisation is such a huge issue, and yet no statement came from the government. They did not take Parliament in confidence," Banerjee said. "Did you even say a one line on the table of the House?" Mamata asked, adding that this was "not only unethical, but also illegal and unconstitutional." The RJD also extended its support to the movement against demonetisation. An RJD representative at the press conference termed it as "Jan Virodhy" and "Gareeb Virodhy" (anti-people and anti-poor), he said. Meanwhile, Ravi Shakar Prasad issued a prompt rebuttal on behalf of the government, saying it was customary of Rahul Gandhi to level baseless allegations. The Union minister, instead of answering Gandhi's questions on the Sahara diaries, invoked past scams in the UPA regime. Prasad implored Gandhi to tell him what he had to say on the 2G and coal scams.